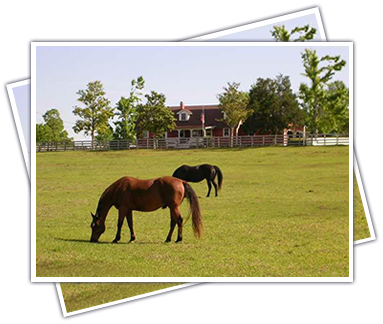 Phoenix horse property is great for those with horses that need lots of extra space. Arizona is known for its many communities that cater to horses with lots of acreage. Although the vast horse ranches of the past have yielded to the rapid growth of new home developments, scattered pockets of these homes remain. This state offers a unique lifestyle, Sunburst Farms in the Paradise Valley section of North Phoenix, feature homes with large lots that can accommodate horses, and many of the homes have corrals. Some people without horses purchase homes in this community for the larger-than-usual lot size and the rural feel of the neighborhood in a great Phoenix, AZ location. Horseback riding is a favorite pastime here and parks include Arizona Horse Lovers park, and Cave Creek Outfitters. The cities on the outskirts here offer a broader selection of homes. North of Phoenix is the community of Desert Hills with a large selection of new and resale homes, lots and properties on acreage that will accommodate horses. North of Desert Hills is the town of New River, a rural area with many horse properties and riding trails that meander through the hills and mountains of the Sonoran Desert. Southeast of Phoenix are East Mesa and Apache Junction, where an abundance of AZ equestrian homes can be found with access to nearby riding trails in the Superstition Mountains. West of Phoenix, the small towns of Buckeye, Avondale, Tolleson and Goodyear are growing fast yet retain ample land for horses.